Morgan Mielke rode her new horse Evolution to win both the Junior Exhibitor Show Pleasure qualifier and championship.Fourteen-year-old Morgan Mielke has been riding since she was about five years old, but her equestrian journey has not been an easy one. After the Mielke family moved from Ohio to Florida, they decided to lease a horse for Morgan to show. The horse, however, didn’t work out. Next, they purchased a horse for her, but that horse didn’t work out either. 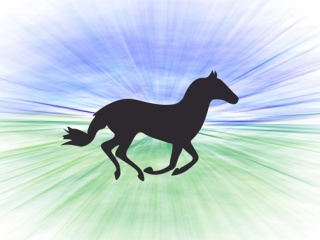 When they finally found and purchased the right horse – a lovely mare called Nuts About Me – they lost the mare to laminitis the following year. So he and his wife, Suzanne, made the decision to purchase a horse named Evolution. 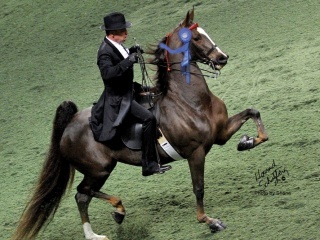 The 2013 ASR National Futurity Three-Year-Old Three-Gaited Park World’s Champion, Evolution wasn’t just any horse. 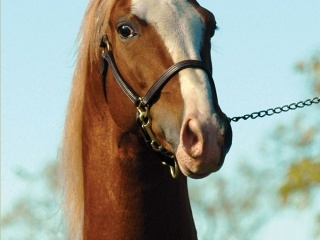 By Undulata’s Nutcracker and out of Callaway’s Little Dipper by Callaway’s Blue Norther, he was well bred, too. 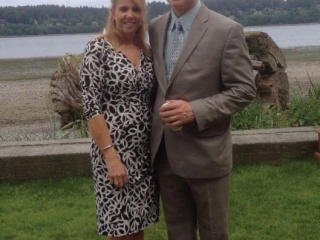 Judd Stables trainer, Maria Gilman, knew all of this when she chose the barely six-year-old gelding for the Mielkes. Caroline Katko was named the Walk/Trot Equitation 11 & Under Champion.Evolution’s previous owner, Tracy Garcia, had called him “Gucci.” Since he already knew his name, Morgan chose not to change it. Tampa was her first show with Gucci, and the site of many other firsts as well. Since the gelding has previously shown as a park horse, he didn’t need to flat walk, and he had never been shown by a junior exhibitor. If Morgan was concerned about anything, it was about maintaining her balance and staying with Gucci when he got bigger. But the pair performed beautifully, and left the ring as the winner both times out, in the Junior Exhibitor Show Pleasure qualifier and championship, much to Morgan’s delight and that of her parents. 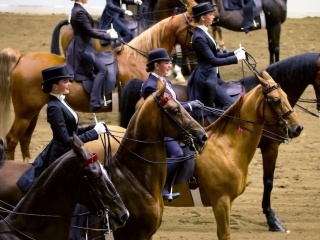 A fourth generation horsewoman, Morgan’s family understands her dedication to equestrian sports despite all the setbacks. “Morgan is so passionate about horses and she works very hard,” Suzanne said. David agrees, and believes that the lessons Morgan has learned from the horse world have been priceless. Elizabeth Ghareeb made a blue ribbon debut aboard her new partner SLB Puccini.Elizabeth Ghareeb’s winning ride at Tampa aboard SLB Puccini was the combination of many firsts – her first time showing this new horse, her first time showing in the road horse division, and her first time owning and showing a Morgan. Elizabeth purchased SLB Puccini or "Macho," in January. The two-time and reigning Morgan World and National Champion in the Amateur Roadster To Bike division, Macho has been a dream come true for Elizabeth. Tampa was Elizabeth’s first show with Macho. Though she had only ridden the horse three or four times in practice, riding a road horse wasn’t as different as she expected it to be. “In some ways it’s easier because you don't have to worry about canter leads, but I'm still very much a novice at this and there is a different approach to turns and stuff like that,” Elizabeth said. She just did her best to follow the instructions of Grey Ridge trainers Bret and Susi Day, and it seems to have paid off – she and Macho won the Roadster Under Saddle class. To add to Elizabeth’s excitement, trainer Bret Day also drove Macho to win the Open Roadster To Bike class. 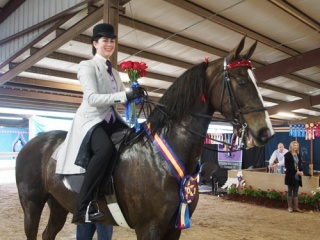 Lace's Last Tango and Caitlin Hucker won the Caretaker's Class for owner Ellen Susman. Ellen also rode Tango to win both the Amateur Three-Gaited Park qualifier and championshipAn equitation rider in her youth, Ellen Susman returned to riding and showing four years ago with trainers Peter and Kim Cowart under the West Wind Stables banner. Since she purchased the grand CH Lace’s Last Tango in September, she had no choice but to learn just that. So when rider Stefanie Sanchez was ready for a new mount, Ellen jumped at the opportunity. About a month ago she began traveling to West Wind every two weeks, where she would practice for a few days at a time in preparation for their debut outing at Tampa. Ellen kept her goals for their first show very reasonable. Though Tango is fourteen years old, he is a powerful horse with a big motor. But Ellen stayed in front of him, and was excited to find that the whole experience went better than she thought it would. 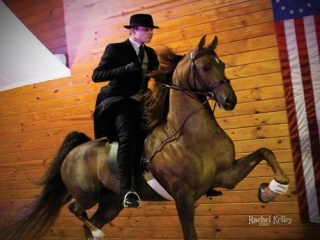 In fact, the pair won both the Adult Amateur Three-Gaited Park qualifier and championship. Like always, Ellen called her mother after her classes to tell her how they went. “She is still my best critic and supporter, and I love that we can share the love of this exceptional breed,” Ellen said. 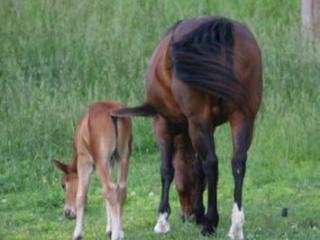 Ellen knew that Caitlin would have her hands full in the class, since Tango doesn’t have much patience for standing, but she handled the horse well, and when they were called for first, Ellen was both shocked and delighted. Making the win even sweeter was the fact that it took place on Caitlin’s birthday. Ellen is excited to continue her season with Tango, and has some big plans for the future. She has another plan, too – to petition to have a Breyer horse made of Tango. And she has a very good reason why. 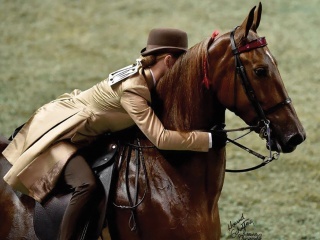 Makenzie Moore hugged Hightower after winning the AHHS Youth Medallion Road Pony Under Saddle class. This team also went on to win the championship.It was trainer Jon Walker who found Hightower for Makenzie Moore. 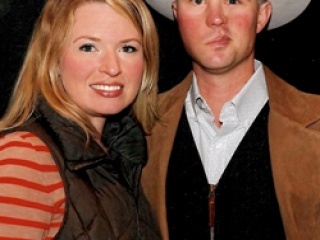 The Moores had previously leased a pony named Smackdown from Jon, and Makenzie had shown him in the junior exhibitor roadster to bike division. According to Makenzie, Smackdown was “slow and kind of lazy, and you had to stay after him.” But Hightower was the complete opposite – he was bigger, stronger and difficult to keep in hand. But Makenzie and her parents put their trust in Jon and made the purchase anyway, and they have never regretted their decision. Since Hightower was too tall to show in harness, he and Makenzie took on the road pony under saddle division, to great success. Together the pair took blues at nearly every show they attended, even taking the Reserve World’s Champion Junior Exhibitor Road Pony Under Saddle Div. II honors at Louisville in 2015. Tampa Charity was the first show of their third season together, and twelve-year-old Makenzie had some very admirable goals for their season debut. The championship was another success for this team, and they left the ring with the tricolor. But the winning ribbons don’t mean it was easy – even after two full seasons together Hightower is still a challenge. “In the ring his mouth is a good bit different,” Makenzie said. Still, she wouldn’t have it any other way. Makenzie’s mother, Cathy, would agree, but she also can’t help look back in amazement at how far Makenzie has already come. “She's really learned how to ride from him,” Cathy said, of Hightower. 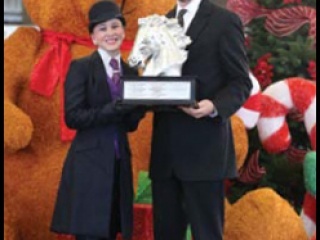 In fact, she credits Hightower with making Makenzie a better rider for her Saddlebred, Chinaberry. As if to prove the point, Makenzie and “China” took blues in both of their classes at Tampa as well, the Junior Exhibitor Country Pleasure qualifier and championship. Marti Lockwood rode Arrowhead's Captain Morgan to top the western division at Tampa. It was her first time as the Amateur Owner Trainer of a western Saddlebred.Marti Lockwood has done it all. 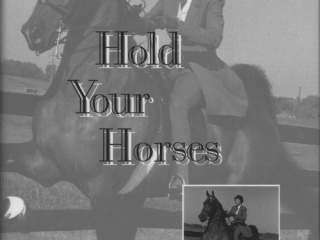 Involved with horses since she was eleven, her first horse was a weanling Quarter Horse that she trained by herself. 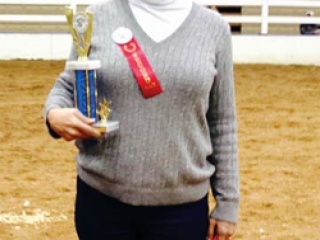 She started riding Saddlebreds in the 1970s, serving as a trainer, handicapped riding instructor, 4-H leader, horse show manager, Charter Club president, judge and more. But of all the things she has done, she had never trained her own western Saddlebred, until she got Arrowhead's Captain Morgan. 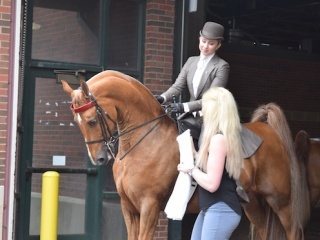 Though she bought the horse she calls “Captain,” as a saddle seat mount to show in the country pleasure division, she decided to enter the western division in 2013. 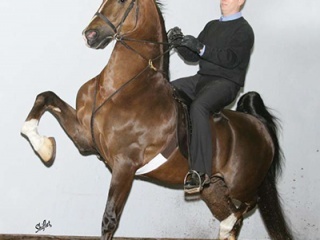 The royally-bred black gelding is by Periaptor and out of a CH Harlem Town mare, Harlem’s Town Beauty. Though he is now thirteen, Marti has owned him since he was six. But Marti realized that to make her western dream come true, she would need a little help, so she sent Captain to trainer Rick Gervasio. Their western debut took place at Rock Creek, and the pair won their first western blue ribbon their third time out in their new tack, at the All American Horse Classic. 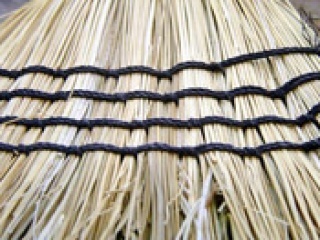 “Back then we were using split reins and he didn't know how to neck rein,” Marti said. There were some rough spots along the way – like the time they nearly ran over one of the judges – but through it all Marti could tell that Captain really did like the new division. Under Rick’s guidance the team continued improving, and last season they had a standout year, winning at Jubilee Of Breeds, Gasparilla Charity, Citrus Cup, Dixie Cup and Summer’s End, taking a third at Lexington and ending their season at St. Louis National Charity, where they took reserve in the Country Western Pleasure Masters class and a strong sixth place finish in Saddle & Bridle’s Shatner Western Pleasure National Championship. It was two months after St. Louis that Marti decided it was time to take Captain home and return to training him herself. After a winter of preparation, Tampa was her first show as an Amateur Owner Trainer of a western horse, and it was better than anything she could have imagined: the pair won the Shatner class, the Country Western Pleasure qualifier and the championship. Better yet, her good friend Beth Oliver took second in all these classes aboard her own black beauty, Soquili’s Midnight Express, LLC. Phyllis Brookshire and I'll Bet You swept the Ladies Five-Gaited division at Tampa.When Phyllis Brookshire swept the Ladies Five-Gaited classes at Tampa aboard the slick-racking I’ll Bet You, she was quick to point out that the achievement was a team effort. The gelding they call “Tommy,” was purchased from Danny Cummings in Texas, and she gives her husband, Donny, the credit for seeing something special in him. After watching him for some time, they called Danny at the end of the 2014 season to see if he might consider selling the horse. 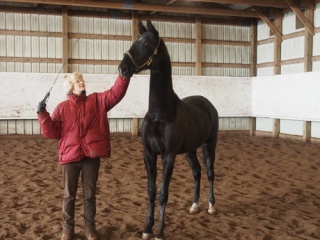 Phyllis was thrilled when he agreed, and she and trainer Matt Shiflet spent the first year getting to know the gelding. “We were just sort of getting him in our routine and the way Matt works horses and the way I ride horses,” Phyllis said. It seemed to work, as the pair took blues at nearly every show they attended in 2015, including Gasparilla Charity, J.D. 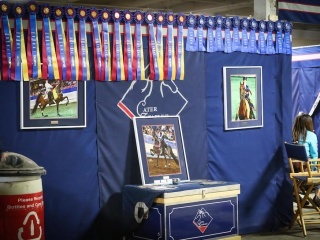 Massey, Asheville Lions Club, Lexington Junior League and the North Carolina State Championship, as well as the Reserve World’s Champion honors in the Ladies Five-Gaited Geldings class and Reserve World’s Champion Of Champions honors in the Ladies Five-Gaited Championship at Louisville. After this impressive first year, Tommy got the winter off. He was put back to work in the middle of January, and Tampa was the opening leg of Phyllis’s second season with him. And, perhaps most importantly, Phyllis had a blast. Her next show with Tommy will be at J.D. Massey in April, and then she will continue to follow the same plan as last year – Asheville, Lexington and on to Louisville – for a year that will hopefully continue to be a success. If it does, she knows exactly who to thank. She believes the caretakers, vet and blacksmith all play a huge part in her success with Tommy as well. Kate Ramsower was congratulated after her Saddle Seat Equitation Championship win.When sixteen-year-old Kate Ramsower topped the Saddle Seat Equitation Championship aboard the lovely Stone Gate’s Natalee Kate, there was much more to the win than met the eye. Though she has been riding for about eleven years, as a general rule Kate works with Morgans. She had only been riding under the direction of Sarah Russell since November, and only half leasing and riding Stone Gate’s Natalee Kate (ironically also called “Kate”) since January. This was their first show together. Her goals in the ring were dependant on the class she was entering. Siren Song Stable enjoyed a great week, including the blue ribbon fine harness debut of WGC Sir Silver Knight.The 2013 Three-Gaited World’s Grand Champion, Sir Silver Knight is a familiar name to horse show exhibitors and the dream horse of many. But, as owner Annika Bruggeworth explains, he has always been a bit of a challenge. One of the main challenges she has had with the stallion she calls “Silver” has been cantering. It was a constant back-and-forth, where the pair would see improvement, and then revert back to the beginning. The last time this happened, Annika made a different choice. 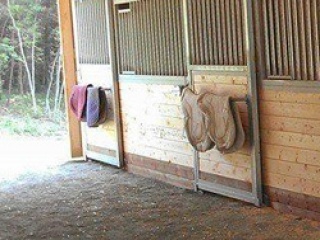 Why not place the horse in a division where he did not have to canter? So the Siren Song team grew his mane out and prepared him for a Fine Harness debut at Tampa. With Annika on the lines, the stallion took the blue in the Open Fine Harness qualifier, in his only appearance. To top it off, it was Annika’s first time driving the horse. “I never drove Follow The Sun at home either,” Annika said, of her previous fine harness superstar. Though it was her first time on the lines with him, she is not surprised that Silver behaved so well for her. This special connection she has with her horses is the reason she wanted to do whatever was best for Silver, and the reason she opened her private stable, Siren Song, in the first place. 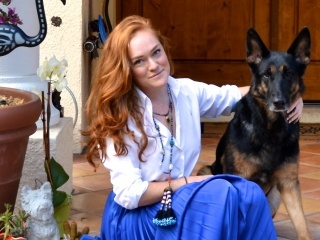 “I wasn't going to be rushed and I didn't want my trainer to be rushed,” Annika said. She believes that this loving philosophy of “whatever is best for the horses” has overtaken all of the Siren Song staff. “My caretakers come and go sometimes, but by the third day they're here they know it's about loving them and kissing and petting them because they see it works,” Annika said. 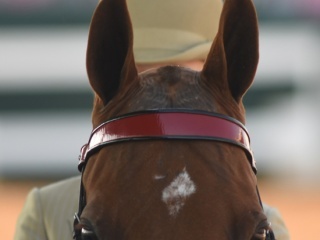 When asked what is next for Silver, Annika said that they will continue to compete in the fine harness division, more as a novelty than anything, and that Silver will be breeding selectively. “He's just too much of a beauty to keep to myself,” she said. Watermark's A Kiss For Luck and Merrick Semans won both the Junior Exhibitor Three-Gaited qualifier and championship. 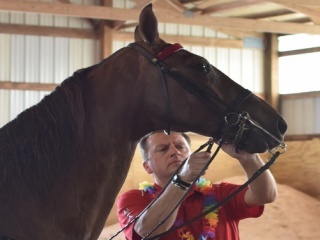 This is their first year in the 14-17 division.Watermark’s A Kiss For Luck and Merrick Semans dominated the Junior Exhibitor Three-Gaited qualifier and championship at Tampa, taking the victory pass both times out under the West Wind Stables banner. The combination of Merrick and Watermark’s A Kiss For Luck, or “Princess,” is still relatively new, as the Semanses only purchased the mare at Louisville last year. Their first show together was at the North Carolina State Championship, where they won their first time out, and then went on to take two blues at Alabama Charity as well. Tampa Charity was their third show together, and their debut of the 2016 season. Trainer Kim Cowart believes the mare is exactly what fourteen-year-old Merrick needs. 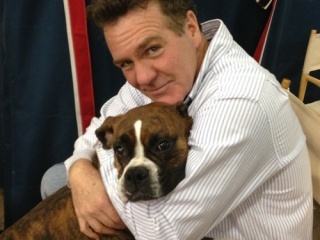 Merrick’s goal for Tampa was to energize Princess and get her more excited. This is also Merrick’s first year riding with an older age group. But it’s not really surprising that Merrick rose to the challenge. She is an overall athlete, playing golf, basketball, and field hockey in addition to riding, and her Tampa wins just go to show exactly what focus and dedication can accomplish. With an undefeated record so far, it seems to be true. 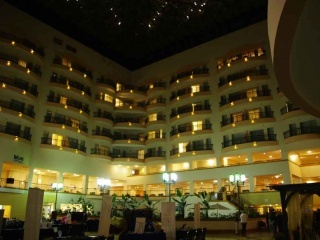 Merrick’s next stop with Princess will be J.D. Massey, but the young athlete won’t be idle until then. “She had a golf match on Tuesday, got in the car and came and won here, and has a golf match on Monday again,” Emily said. 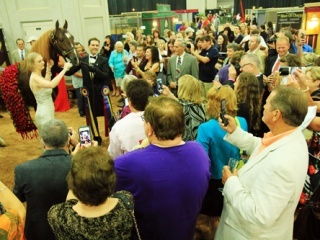 Nichole Horsley exhibited a number of Helen Rich's horses and ponies at Tampa, including Donar Fan Synaeda, who won the Friesian Pleasure Driving qualifier and championship.Nichole Horsley-Jansen started her horse career with Saddlebreds, but is now the trainer at Helen Rich’s The Fiver, in Odessa, Florida, where she trains both Fell ponies and Friesians. 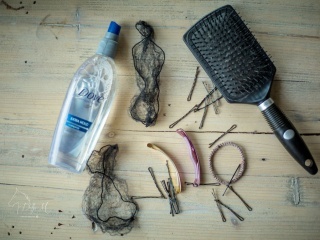 She had been working for Helen for about six months when Helen made a strange request. Helen told her to Google it, and Nichole did. When she saw pictures of the fuzzy little pony, she couldn’t believe that was what Helen wanted. “She had a poster on her wall when she was a little girl and a Fell pony was on there, and she said she always wanted one,” Nichole said. So Nichole began working to make Helen’s childhood dream come true. It wasn’t easy, since there were only about five-hundred Fell ponies in the United States. 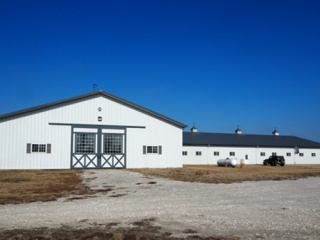 She was lucky to find Dream Hayven Farm, a Fell breeder in Tennessee. As it turned out, the farm’s owner, Melissa Kreuzer, actually had a background in Saddlebreds, and explained all the things that made her fall in love with Fells. She then told Nichole about a colt she had sold a while back that she thought was for sale again. That colt was Dreamhayven Double Agent, or “George,” and he became Helen’s first Fell pony. Nichole was impressed with George right away. Eight more Fell ponies would follow George, and Helen became so confident in Nichole’s ability to work with carriage horses that they flew to Holland to purchase some carriage Friesians for Nichole to train as well. 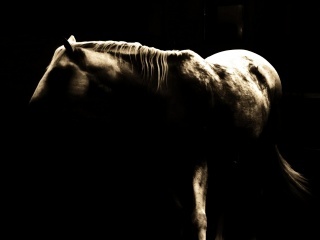 Along with the Fells and Friesians, the farm in Odessa also houses some retired Saddlebreds, like Tigerlee and Santana’s Night Moves – a fact that is particularly thrilling to Nichole. “It’s pretty exciting because when I was just a kid one of the first great horses I ever rode was Santana’s Night Moves,” Nichole said. 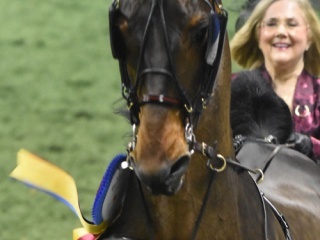 Nichole brought George, Huntsman Blackthorn and the Friesian Donar Fan Synaeda to compete at Tampa, and all put in admirable performances, taking two blues and three seconds, among other awards. But the ribbons pale in comparison to how Helen feels about her horses and ponies.